Get your glow back with this moisturizing formula. 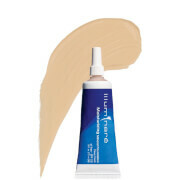 Provides light to medium coverage to even skin tone and texture for a soft, luminous finish. Ideal for those with normal to dry skin, this formula helps to lock in moisture and hydrate the skin. May be set with a translucent face powder for a matte look. 100% oil-free. I have sensitive skin and it seems almost every foundation I try irritates my skin and causes breakouts. I got this as a sample with another order and tried it and WOW! It provides the most seamless, consistent natural looking coverage I have ever seen. 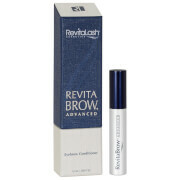 And since it has moisturizing properties it always looks dewy and never dry or crackly. It also applies really quickly, I just use my fingertips and it blends in almost like magic. Goes on quick and lasts all day. Still picture perfect at 7pm. Seriously! I'm now on my third order and I just love it. You will not be disappointed. If you are looking for a natural looking, moisturizing, non irritating foundation, this is it!I put it on over a moisturizer using the flocked applicator the site recommends, and I get flawless coverage that lasts all day. I've tried so many foundations and this one is the best! It doesn't feel like you are wearing foundation; it covers blotchiness well and you can reapply more on top at the end of the day to freshen up your look. I prefer to layer this Fantastic Finish foundation, rather than use the heavier coverage of some of the line's other foundations. Closest I've found to an airbrushed look. Love it! I decided to try this foundation, but because I have dry skin (I'm in my forties and have noticed my skin is getting drier with each passing year), I was leery. Well, I was right, this dried my face even more. The fine lines around my lips became more accentuated. Not impressed. Great coverage, a little goes a long way! But in the Miami heat my face was shiney by midday! I got a sample of this and almost cast it off to a friend. I don't wear a lot of make up and this blended my freckles beautifully. Smoothes on, stays on all day without changing colors or fading. I was pleasantly suprised by the results. I'm sold.